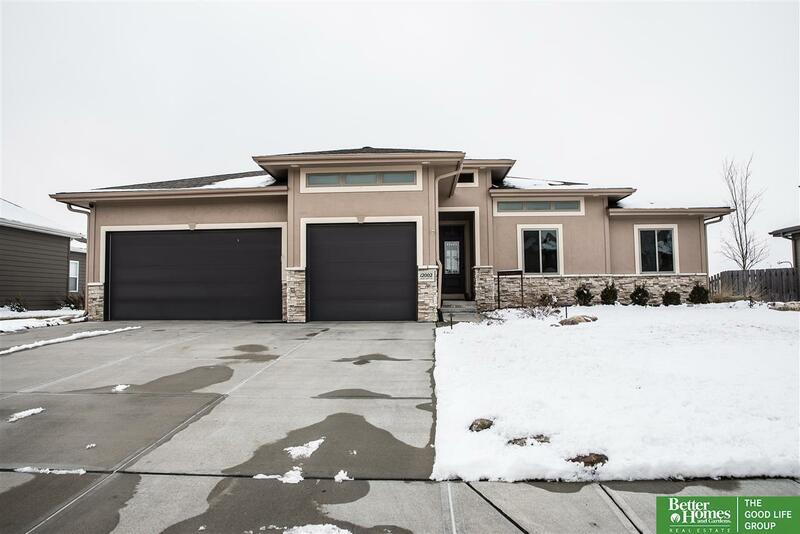 **Contract Pending** Gorgeous, contemporary Gretna walk-out ranch. Completely upgraded kitchen with large center island, granite counter tops and large walk-in pantry. New paint throughout. 10 ft ceilings on main level with a cozy fireplace; perfect for these chilly winter days. Large partially covered deck and fire pit off the patio; great for long summer nights! Man cave in the garage. Lower level has 1, 000 sq ft framed out for a 4th bed, 3/4 bath, theater room and rec room with a wet bar. Excellent neighborhood with walking trails and common-area green space.